We don’t need to tell you that efficiency is important: It saves money and the planet at the same time. But it’s not easy for businesses - with bottom lines, shareholders and financial quarters - to embark on long term research projects. 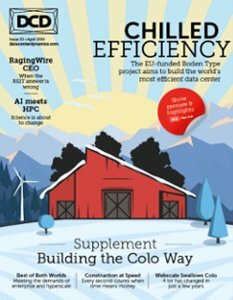 That’s why the EU hopes to help: In this issue, we head to Boden Type One in Sweden to examine an experimental data center that aims to bring hyperscale levels of energy efficiency to everyone.